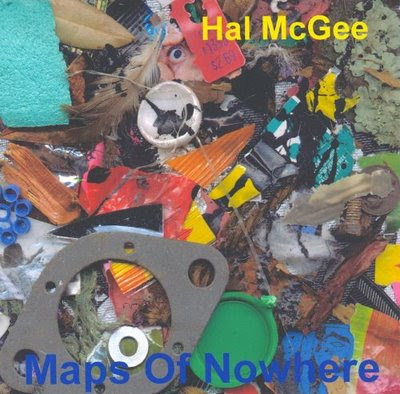 Hal McGee's an inspiration in the DIY distribution department as well as for the breadth, quality, and idiosyncrasy of his work. I first found him on eBay of all places, searching for "audio collage" (though it turns out he was a mover and shaker in the cassette underground and was responsible for the excellent Electronic Cottage zine) and traded Mannlicher's Half Duplex Receive Only for his Maps of Nowhere, a great set of fucked-up field recordings that I've listened to many times. Since then he's made this disc and much more available on his site. 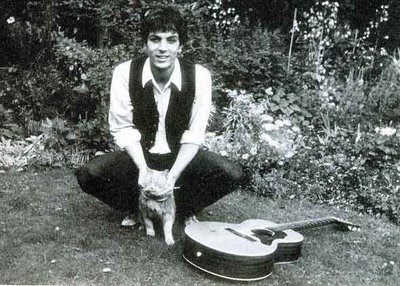 Here's his description of MoN: Four long tracks distilled from 12 hours of field recordings made on a handheld cassette recorder - recorded August through October 2000. Lots of shortwave radio tones and static; surreptitious recordings from my work environment in a hospital; quotidian, found and trash sounds: alarm clock, Hare Krishna chanting, public transportation, street & traffic noises, toys, children, family, howling maniac dogs, mundane conversations -- audio ethnographic recordings from the streets, alleys, sidewalks, parking lots, and fields of Gainesville, Florida -- all blended, multitracked and contorted into big concrete music noisy cut-up collages. I employed chance process, aleatory and automatistic methods of dada and surrealism in the making of Maps Of Nowhere. Constructed on a Fostex XR-5 4-track cassette recorder. Here's a link to listen or DL the Mannlicher Carcano Radio Hour from Jan 10 (Really, Porter, Curly) featuring the deconstructed Pink Floyd backing (sans Dhyana) for an unfinished 1990 Piper at the Gates of Dawn sound piece. The full version features precocious 9 (?) yr old Dhyana Justl reading that chapter from Wind in the Willows. Weirdly enough, just HOURS AFTER this performance, older sister Karen (cover artist for Mannlicher's first Level Best cassette) contacted me about Dhyana's imminent West Coast Tour, mentioning the VERY SAME audio project from 18 years ago!!! Surely these are the end times.